© Huynh Thanh Huy. All rights reserved. The terrace fields are very famous in Mu Cang Chai dist, Yen Bai province, Vietnam. 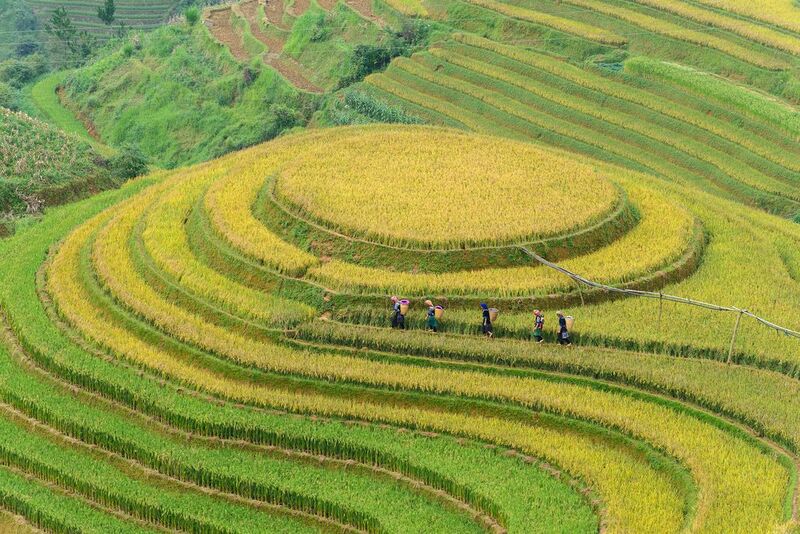 And this raspberry pie of golden rice terraced field was chosen as the symbol of Yen Bai province. During the ripe rice season from mid-September to mid-October yearly, the raspberry pie of terraced rice ﬁeld in Mu Cang Chai look like golden waves on the hill. Tourists over the world are highly recommend to visit this place. Date Uploaded: Sept. 5, 2017, 5:57 a.m.